Bank Windhoek in collaboration with the Namibia University of Science and Technology (NUST), through the Centre for Enterprise Development will host local entrepreneurs and small and medium enterprises (SME) for a start-up and SME seminar based on business models. The seminars will be facilitated by internationally recognised industry expert based at Credit Suisse in London, Greg Collett. He has been with Credit Suisse Group for 17 years and heads the Custom Solutions Group, a specialist team that works with fund managers to provide advice on the investment process. “The start-up and SME seminar is ideal for all entrepreneurs who want to start or grow their businesses further. The seminar will focus on how entrepreneurs can develop their business model and make it relevant for their customers. It will also place emphasis on business finances and how entrepreneurs can align their finances with their business model,” said NUST’s SME Development Officer from the Centre for Enterprise Development (CED), Helena Ilovu. 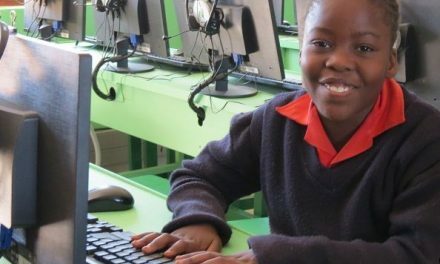 The seminars will take place in Windhoek, Ongwediva, Rundu and Walvis Bay in September 2018 on the following dates: Windhoek (10 September); Walvis Bay, (12 September); Ongwediva, (17 September) and Rundu (19 September). “This is the ideal opportunity to showcase how such partnerships can equip entrepreneurs to flourish. 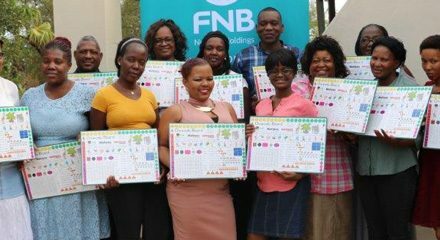 We hope that all the participant at these events are able to implement their learning and thrive in their businesses,” said Bank Windhoek’s Sponsorship and Events Coordinator, Suzette January. 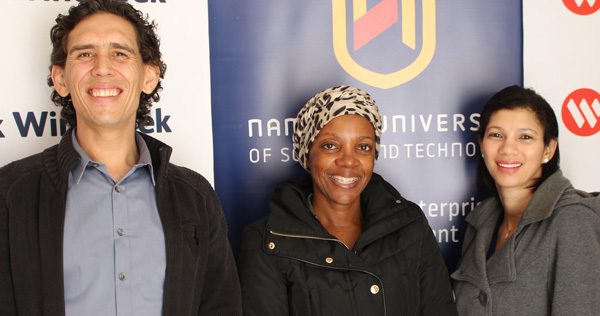 Caption: from left to right, NUST’s International Relations Officer, Nico Smit flanked by her colleague, SME Development Officer from the Centre for Enterprise Development, Helena IIovu and Bank Windhoek’s Coordinator of Sponsorships and Events, Suzette January.